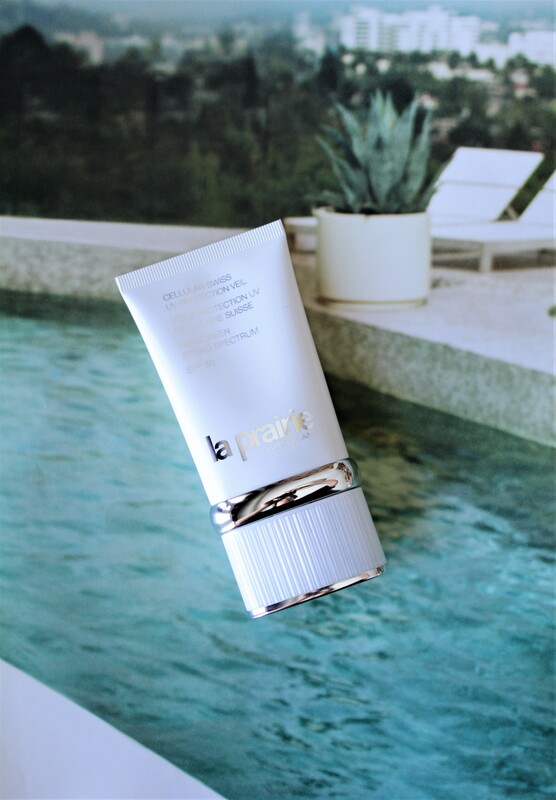 When you think of protection and hydration – La Prairie comes with the Cellular Swiss UV Protection Veil and Hand Cream to rescue this season. 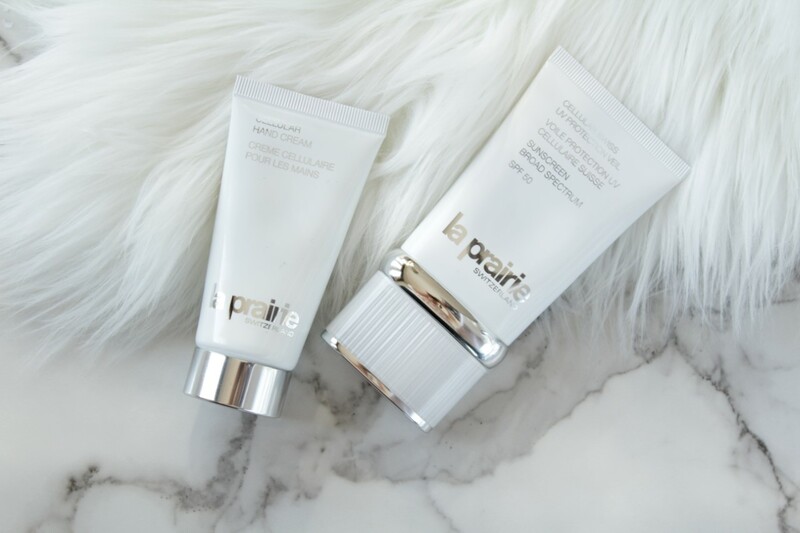 La Prairie is one of the brands that can be trusted blindly with their skin care and beauty products. Although I haven’t tested many beauty items from the brands but the couples I have tested been the most amazing and effective products to be by far. I was super excited to test out these two products from the brand. I think many of us are very particular (at least I’m) on our sun protection and hand cream or moisturizer. Up first is the Cellular Swiss UV Protection Veil SPF 50 (C$ 245 for 50 ml) is a light weight yet powerful line of sun defense against the sings of aging and sun exposure. It’s designed to protects and treats the skin at the same time, and offers a daily protection against exposure to UVA and UVB with the highest SPF. When it comes to sun protectors I often neglect using a separate sunscreen for the face on daily basis, I rather use foundation or BB creams with a sufficient amount of SPF to carry me through out the day. I personally hate the scent and sticky texture of the sunscreen, although I have discovered couple of sunscreens that I have been liking but so far nothing especial that love. I apply sunscreen when only I’m under direction sun exposure. Although this Cellular Swiss UV Protection Veil is designed as a final step for your daily skin care routine, but I have been using it only when I’m out from the house on sunny days. The texture is light and it doesn’t feel greasy or sticky unlike other sunscreens with amazing scent. One of the reasons I always avoid using sunscreen is that almost all of the sunscreens that I have tested so far carries awful scent that is too strong to my sensitive nose. 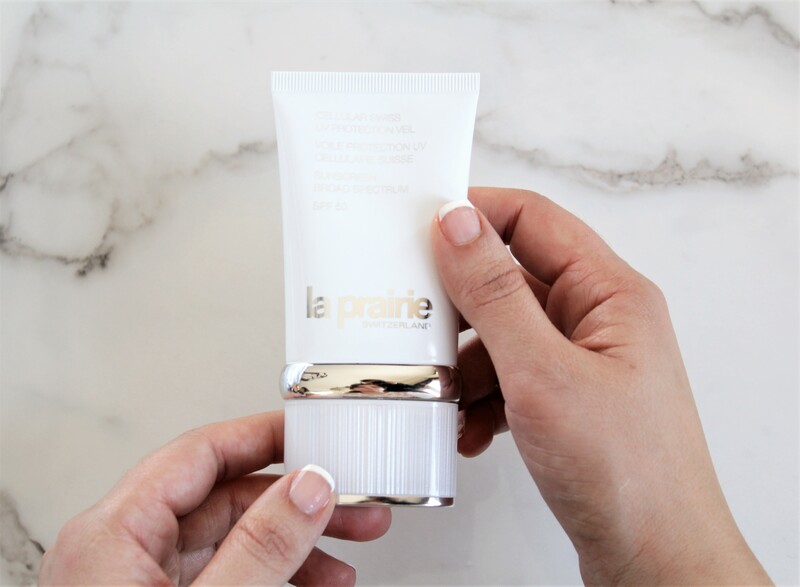 Yet the Cellular Swiss UV Protection Veil from La Prairie have that luxuries and amazing scent which is definitely pleasant to your nose. It carries a high amount of SPF to protect the skin from environmental damage while deliver prolonged hydration to the skin. Cellular Swiss UV Protection Veil does help look more plump and smooths out the skin texture, it also improve elasticity in the skin for a more radiant and soft looking skin without any white residue over the skin. It can be reapply over the foundation without any disturbance. I would suggest when layering creams to always make sure to allow the product to absorb completely before apply the next product. It makes a perfect base for your foundation without feeling heavy at all, while it gives the highest protection you need. And most of all if you’re on your way to your beach life vacation this is a must, it not only protects the skin it gives you the skin care benefits you need for a soft, smooth and more even out skin you need. 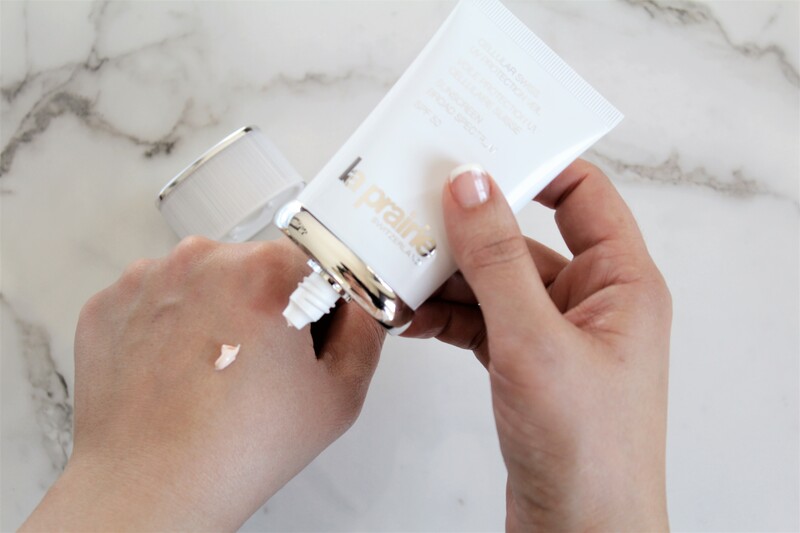 Up next is the Cellular Hand Cream (C$150 for 50 ml) is a soft and lightweight luxurious hand cream that deeply moisturizes and treats hands. It’s advance formula contains marine-derived alpha hydroxyl that slough away dry, flaky skin immediately and gently exfoliate for a renew soft skin while it diminishes the appearance of age spots and over time hands looks smoother, firmer and beautiful. 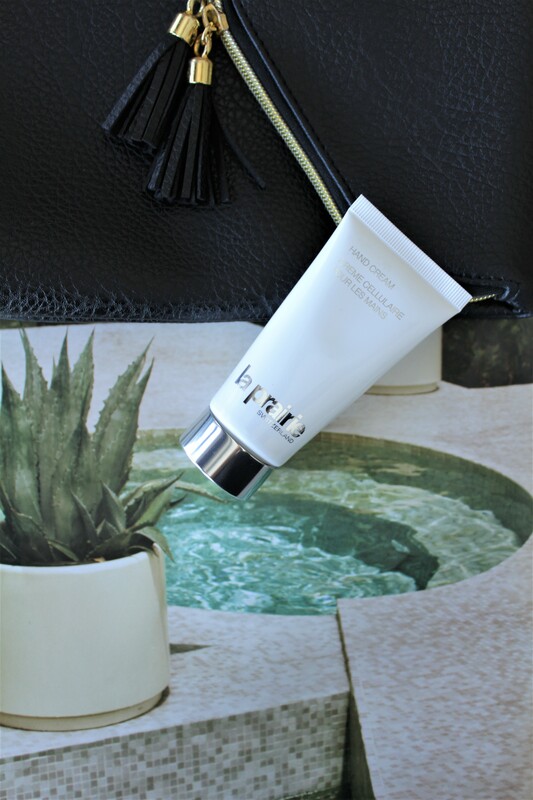 This hands cream is also designed to improve the skins firmness and elasticity. Basically it not only moisturizes the skin it also treats and carries the anti-aging benefits. Hands are one of the body’s part that show first signs of aging which happens due to environmental pollution. This Cellular Hand Cream is enriched with algea and mineral and also paired with unique moisture complex that blends moisture and prevents moisture loss. When it comes to hand creams I prefer the ones with a quick absorption, noticeable hydration and a good packing. Scents do pay a huge role when it comes to choosing a hand cream and I’m all over with a good fragrance because it does lifts my mood. I have been hooked to this Cellular hand cream since I have received it, it works like a treatment for hands. It’s light but ultra hydrating, I have been using it as a treatment on my hands by adding into my nightly skin care routine. My hands have been looking smooth and soft in the morning. The 50 ml is a good size to carry it with you while you’re on the go, it fits into most of my bags easily. 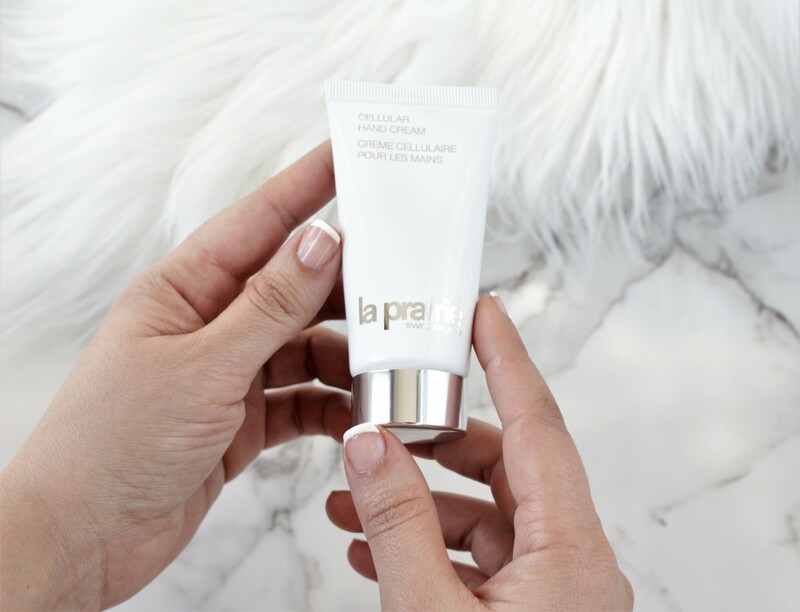 At the end I have been loving both the Cellular Swiss UV Protection Veil and the Cellular Hand Cream from La Prairie, in terms of performance, quality and effectiveness. It not only provides the protection, they also gives the skin care benefits you need for a more firmer and smooth looking skin for your face and hands. Both products are not stick and smells divine. The Cellular Swiss UV Protection Veil and the Cellular Hand Cream are now available in store and online at Nordstrom, Saks Fifth Avenue and Holt Renfrew. 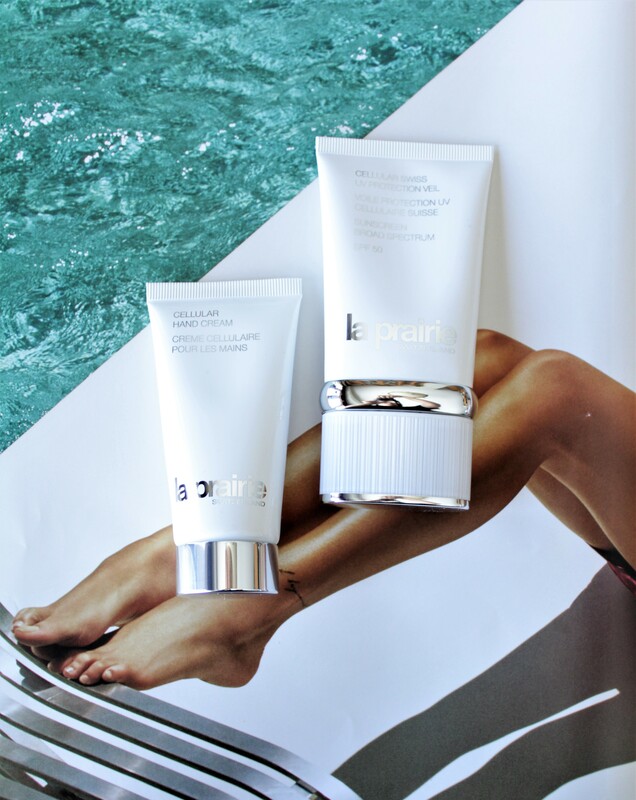 Press material and samples were provided and courtesy of La Prairie for editorial purposes.